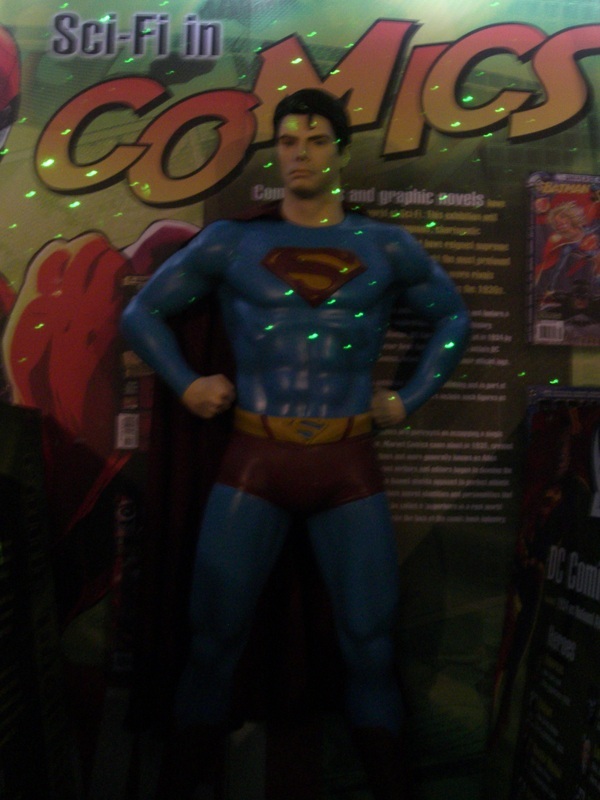 Come and see a wealth of LIFE SIZE superhero & sci-fi characters. From Star Trek the iconic CAPTAIN JEAN-LUC PICARD and SPOCK, a klingon from the planet Qo'noS. Lieutenant Commander DATA, cheif operations officer aboard the Starship USS Enterprise. From the TV series 'V' an alien visitor, outwardly human but lizard like underneath. See super sleek CYCLONS from Battlestar Galactica and other screen used uniforms from the series and Babylon 5. See two original chairs from Harry Hill's TV Burp spoof of The Voice.